Tonight, the Mumbai Indians will be squaring off against the Royal Challengers Bangalore in a bid to cement their top 4 hopes in IPL 2019. Mumbai currently lie in 4th and a win could take them to 2nd. Meanwhile, RCB just want to get some more points on the board. 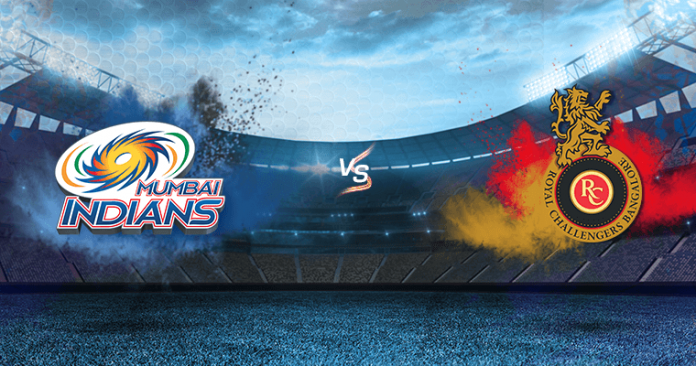 Tomorrow’s IPL 2019 match will be held in Mumbai and ES will help with the Dream 11 Predictions in case fans are still unsure. RCB are boosted by the signing of South African speedster Dale Steyn, in place of an injured Nathan Coulter-Nile. The team have suffered six consecutive losses in IPL 2019 and are hoping to change that. Meanwhile, MI, do not have such issues with their IPL 2019 squad and will be at full strength. Mumbai: Quinton de Kock, Rohit Sharma, Ishan Kishan, Aditya Tare, Hardik Pandya, Krunal Pandya, Kieron Pollard, Rahul Chahar, Lasith Malinga, Jasprit Bumrah, Mitchell McClenaghan. 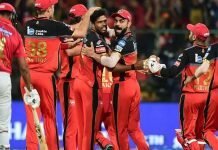 Bangalore: Virat Kohli, AB de Villiers, Shivam Dube, Heinrich Klaasen, Moeen Ali, Pawan Negi, Akshdeep Nath, Washington Sundar, Yuzvendra Chahal, Umesh Yadav, Dale Steyn. Since the IPL 2019 match will be held in Mumbai, the air temperature will be between 32º C and 27º C. The Wankhede stadium often provides the swing bowlers with a fair amount of help. Traditionally, the pitch is quite run heavy but also aides spinners as well. Out of 23 matches played, the Mumbai Indians boast of the better record, of 15 wins to Bangalore’s nine. MI’s highest score was 235 compared to RCB’s 213 and the lowest score is 122 to 115. In 2016 and 2017, the Mumbai Indians won both, the home and away games. In 2016, it was Delhi who won at home and away. In 2017, both teams won their home games. while the results have been split between the two on the remaining years. In this IPL 2019 matchup, Heinrich Klaasen goes up against compatriot Quinton de Kock, but the Mumbai Indians player has the edge due to his terrific form. He boasts of a highest score of 81 in IPL 2019 at a strike rate of 136.00. On the batting front, Virat Kohli and AB de Villiers make their way onto the IPL 2019 Dream 11 list for the Royal Challengers. This is because both have been in blistering form on a number of occasions. The remaining two places are occupied by Mumbai’s Rohit Sharma and Ishan Kishan. Kishan is expected to be an excellent player and a rising talent. Only two all-rounders make the IPL 2019 list with Moeen Ali from the Royal Challengers, and Krunal Pandya from the Indians. Pandya is quite underrated when compared to his brother Hardik. But he has smashed a total of 92 runs from 7 matches at a strike rate of 133.33 with 5 wickets under his belt. Ali has taken 74 runs and took 3 wickets as well as having an economy of 6.82. Rohit Sharma will be the pick for skipper and the ideal second in command for this IPL 2019 Dream 11 match is Virat Kohli.